Gumstix Product Videos - Applications, Overviews, Demonstrations | Gumstix, Inc. Welcome to our product videos page featuring product applications, overviews and demonstration on how to utilize the hardware we have designed and sell. For videos overviewing Geppetto®, our design-to-order platform, check out Geppetto Demo Videos. Watch the AeroCore 2 for NVIDIA Jetson in a MAV doing object recognition real-time! Watch the AeroCore 2 for NVIDIA Jetson riding an iRobot Create 2. The board runs TensorFlow as it do object detection and recognition. The AeroCore from Gumstix offers everyone from enthusiasts to educators the opportunity to power their very own micro-aerial vehicle. A new and improved AeroCore 2 MAV control board for the 96Boards specification. Take to the skies with the most technologically advanced AeroCore expansion board to date. 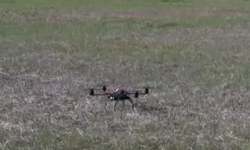 A test run of the GadgetDrone, which captures video in real time as it flies. Gumstix Founder and CEO Gordon Kruberg discusses Gumstix and his vision. Get started with Gumstix and Yocto Project software development. Designed and built with Geppetto D2O, the Gumstix Arbor family of expansion boards for Overo COMs now support Newhaven capacitive multi-touch LCD touchscreens in three sizes: 4.3", 5.0", and 7.0". Adam Lee shows off the key features of the Waysmall Silverlode Computer: a Tobi expansion board and EarthStorm COM packaged in a durable aluminum case for commercial and industrial computing applications. Tyler Jones discusses the features of the TurtleCore expansion board for Overo & iRobot Create, and shows us a quick demo. A quick review of the Overo computer-on-module series: Fire, Water, Air and Earth. Gordon outlines six expansion boards for the Overo series. Gordon Kruberg discusses Gumstix Tobi expansion board with 10/100 Ethernet, DVI/HDMI, USB Host, USB OTG, Stereo Audio and more. Gordon Kruberg shows how to connect an Overo COM & a video monitor to the Tobi expansion board. Gordon Kruberg discusses connectors, jacks, through-holes and buttons on Palo43 expansion board. Connecting an LCD screen and Overo COM to a Palo43 expansion board of the Overo series. Includes touchscreen calbration and Palmtop image. Gordon Kruberg discusses connectors, jack, buttons and through-holes on Chestnut43 expansion board - ideal for network attached display devices. Learn how to connect an Overo COM, Ethernet cable and 4.3" LCD panel to a Gumstix Chestnut43 expansion board. The components on a Summit expansion board. Gordon Kruberg discusses connecting and booting an Overo and Summit board with Angstrom. Gordon discusses the Pinto and USB-powered Thumbo boards to be announced in December 2009 for Gumstix Overo series.